Hard water is known to contain higher than normal levels of calcium and magnesium. This causes issues with lime scale build up that interferes with household and daily functions. Issues range from clogged plumbing to soap’s ability to clean properly. For most homeowners the installation of a water softener system is vital in bringing higher quality water to the household. Most water softening units will continue to function for years with little maintenance. Regular check ups and cleaning does help to improve their lifespan. One important aspect in maintaining your water softening equipment is caring for the systems brine tank. In order to properly maintain the tank, the salt levels should be checked and if low replaced on a monthly basis. Salt is essential in the ion exchange process that takes place in water softeners. As the system regenerates the hard water will flow through resin in the softener and the hard ions trade place with the soft ions on the resin beads. This creates soft water. Your specific softener should come with a manual that instructs you on the perfect level for the salt in your brine tank. Generally, the tank should be kept half way full and three inches above the water level. High levels of salt can improve the overall efficiency however should be reduced is the salt sticks to the sides of the unit. If salt is allowed to build up in the brine tank users should carefully separate the salt to avoid thick bridges from forming. It is also important that you put the proper water softener salt into the brine tank. The manual should explain if your system best operates using granular, tablet, or block salt. Granular is the most common as it easily dissolves. On top of different types of salt there are grade variances as well. Water Softener Rock Salt: This is a cheaper source of softener salt and therefore contains more impurities. These impurities often decrease the efficiency of the softener, dirties the tank, and requires more regular cleaning and maintenance than other salt grades. Water Softener Evaporated Salt: This option is the highest quality grade of water softener salt that can be purchased. It is also the most expensive. If a salt bridge occurs, it is important that it is broken up and not allowed to “build up”. A solid layer of brine known as a bridge occurs when the salt in the brine tank binds together preventing loose salt on top from mixing with the water below the bridge. This of course prevents the softener from properly functioning. These bridges can be broken up using a large broom handle and tapping it around the tank several times. If the layers are not easily broken with a long handle a homeowner can pour hot water over the bridge. If bridges become a common issue in your water treatment system you can try using less softener salt which would allow the salt to drop between refills. Cleaning out the brine tank also helps. Another common issue with salt inside of brine tanks is that the salt can become a mushy pile at the base of the tank. This causes the water to rise around the salt instead of mixing in with it. A large broom handle can be used to break up the mush mound. Mush should be scooped out, dissolved in a bucket of hot water, and then poured back into the water softener tank. There are a number of signs that point to a problem with hard water. Homeowners with hard drinking water will often notice a smell or taste that is off. When hard water is present in your home often times the sinks, tubs, and toilets will be stained, family members may begin to complain of dry, itchy skin, and your water supply will smell and taste off. Bringing in a sample of the homes water will allow you to know exactly what is going on in your water supply. This water analysis will tell you what type of water treatment system will best suit your homes water issue. Water softeners are used to remove excess calcium and magnesium ions and exchange them with either sodium or potassium ions, depending on if you choose a salt free water softener or water softener that uses salt. When the exchange has taken place the water softener regenerates and flushes the system of extra ions until it has been completely recharged with new sodium or potassium ions. This process uses twenty-five gallons of water each day, depending on use. It is important to determine the waters hardness. Preventing the buildup of scale can increase the lifespan of your appliances like your water heaters, dishwasher, and more. There are seven common signs that your home will benefit from the installation of a whole house water softener. If you are noticing scale, you more likely than not have hard water. Noticeable scale build up will be seen in the form of mineral deposits on coffee pots, tea kettles, and such. These same mineral deposits are being built up within your homes pipes as well. To prevent clogged pipes and less effective passing of water through your system causing defective plumbing and increased scale buildup a water softener should be installed. The water softener needs to be set in a manner that allows the proper amount of water to rejuvenate each day to avoid running out of soft water throughout the day. If you use twenty-five gallons of water each day, then your water softener needs to supply twenty-five gallons of soft water. The visible buildup that homeowners are seeing is known as limescale. This is a hard, chalky material that is formed from a combination of calcium and magnesium bicarbonate. The salt is what forms the white chalk like substance that is visible. A water softener will reduce this scale buildup through ion exchange technology. Hard water contains more calcium and magnesium salt than soft water. When hard water is used in daily life it can cause your skin and hair to dry out no matter what shampoo and lotion you are using. The hard water is not providing any nourishment to your skin and hair, so it dries out. The extra minerals, calcium and magnesium, remain on your skin. It is important to note that soap doesn’t dissolve well in hard water, so it doesn’t help to remove the build up of minerals. Since soap doesn’t dissolve well either that residue is also known to irritate the area as well. Hard water is also harsh on even the most stringent of skin care regimens. Hard water blocks the pores in your skin, causes inflammation, and creates an environment prone to black heads. Leathery, dry skin is another common side effect of hard water. When darker clothes, sheets, and towels start to fade and gray when washed using hard water. The hard water may also change the texture of the fabrics. The fabrics will start to become scratchy overtime because of the additional minerals that are contained in hard water. Often times when a home has hard water it is noticeable because of the stains that the mineral residue leaves behind in sinks, tubs, and toilets. The stains are formed after water evaporates and leaves behind the large amounts of calcium and magnesium from the tap water. The residue will feel plaster like. These deposits can also form on faucets. One way in which to remove the residue build up is with vinegar. Put vinegar into a spray bottle and spray the buildup or residue with vinegar. After letting it set for a minute it should wipe away without a ton of struggle. For harder to remove residue let the vinegar soak for up to an hour. To clean the residue buildup from your dishwasher, pour a cup of bleach into the dishwasher along with a cup of powdered detergent. Run this mixture through an empty dishwasher. After the cycle has finished up run the dishwasher once again with an empty load using a cup of vinegar. This will help to ensure that the bleach is no longer present. Both types of water softeners, salt and potassium chloride, are effective in softening your homes water to prevent future residue buildup from making a home in your home. To determine your homes water softener needs, have the water in your home tested. This water analysis will help to determine the level of extra minerals in the water and the settings that will be optimal once your water softener is installed. The plumbing in your home, especially steel pipes, are easily harmed from the buildup of limescale which will prevent the water from flowing freely through them. PVC and Copper piping tend prevent the buildup of hard water minerals better than steel however, all plumbing will eventually be affected by limescale. 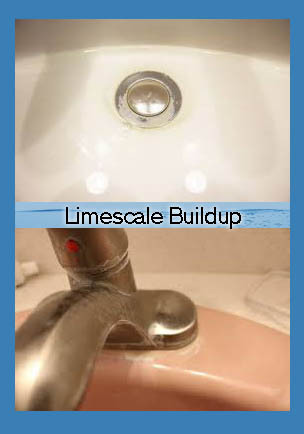 More limescale means thicker buildup in the plumbing and will eventually lead to the loss of water pressure. The rate at which the pipes are affected will be quicker overtime as the space within the pipe circumference shrinks due to the additional limescale. If left untreated the pipes will eventually fail. Homeowners that don’t take regular care to clean up the build up from around faucets will eventually end up with valves that don’t fully shut and therefore leak. This leak will lead to greater, faster limescale buildup. Plumbing repairs can be expensive as well as causing a lot of excessive wear on the house. Installing an appropriate water softening unit will work wonders in helping to prevent further plumbing issues. The amount of water that you use will increase the harder pipes have to work to get the water to flow through. If there is a sudden increase in your water bill have your water tested. This analysis will determine if you need a water softener installed, need your water softener replaced, or the water hardness level of a currently installed system needs to be adjusted. If you notice a change in your water the first step should always be to have your water analyzed by a professional. Once an analysis is done on your water and you know what minerals are contained in the water a water treatment solution can be recommended. Sometimes the simple installation of a water softener can improve the overall quality of your homes water however sometimes the solution is more complex. A wide range of water treatment systems are available from whole house to point of use water softeners, water filters and purifiers, and reverse osmosis systems, all with their own specific job. Author adminPosted on November 21, 2018 Categories Reynolds WaterTags Residential Water Softener Systems, Water Conditioners, Water Conditioning Companies, Water Softeners, Well WaterLeave a comment on What’s Better for Your Water: Potassium Chloride (Salt-Fee) or Salt Water Softeners? Water softeners take bathing to an all new level, especially after accepting and coming accustomed to hard water showers. If you are ready to bathe in silky smooth water, if you are excited for clear uncolored, smell free water, and if you are anxious to stop cleaning with harsh rust removers, we might just have the perfection solution for you. Choosing a water softener, often misspelled as “water softner”, we can help with options ranging from traditional household water softeners, salt-free water softeners, dual- tank softeners and combinations that include reverse osmosis, whole house filters, arsenic removal and more. Water softeners solve the problem of hard water. When your homes water is filled with extra minerals such as calcium, magnesium carbonate or manganese it is considered hard. 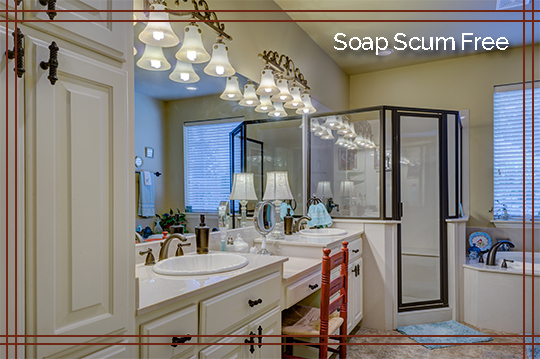 Some homeowners note that soap doesn’t lather correctly, their dishes are spotted, sinks and tubs have rings, bright colored laundry looks dingy, skin feels rough, and other annoying side effects. An analysis of your homes water is the only way to truly “diagnosis” your homes water and determine if a water softener is truly the right solution. These extra minerals don’t normally pose a risk to your overall health however, not treating hard water can cause issues with your homes plumbing, water heating system, appliances, and such. In research done by the U.S. Geological Survey over eighty five percent of American homes have problems with hard water in their homes. As previously mentioned, one way to get rid of hard water is to install a water softener. The water from your home is not considered hard unless it contains more than 1 GPG of dissolved hard materials however, water with up to 3.5 GPG is considered soft. Noticeably hard water contains upward of 3.5 GPG with 10.5 GPG being considered extremely hard. Anything between the two extremes is considered moderately hard and should be properly treated. Hard water is more annoying and expense than a risk to the health of you and your family. In fact, many issues that are created because of a home’s hard water supply stay hidden until an actual malfunction in the plumbing or your appliances bring it to light. Scale can cake on to the inside of your plumbing, water heaters, and appliances causing major issues for you. This on top of the issues that are general nuisances in the everyday running of your household. One of the most common fixes for hard water is the installation of a water softener. There are a variety of water softeners that people can install in their homes or businesses to improve the quality of your water. The most common whole-house water softener that is installed is known as a salt ion-exchange water softener. Salt ion-exchange water softeners have two tanks. One of the tanks is filled with brine and the other special resin beads. The water becomes soft by exchanging salt ion for hard minerals. Another option is a salt-free water softener that operates in a similar manner as a salt ion-exchange water softener however uses potassium-chloride instead of softener salt. Hard minerals are not reduced but instead prevent the minerals from being deposited as scale to plumbing and such. Dual-tank water softeners are yet another option. Unlike typical water softeners that disconnect from the water system when recharging making them basically out of commission during the process, dual water tanks always have on tank in use while the other regenerates. Thus, no downtime in water usage. For most families the water softening rejuvenation process in common water softeners takes place at night when water is most often not in use, for big families or families with varying schedules a dual water softener can be a better fit. Water softeners come in a variety of different sizes, the size of the softener you need for your household will depend on the size of your home and the number of people using water in your household. It is important that when purchasing a new water softener, you select one that is the right size to handle the demands of your home and family. Remember the physical size of the unit is not particularly important, it is the systems ability to remove minerals from the water at a pace that keeps up with your needs. This can be determined when the water from your home is analyzed. Along with choosing the right size water softener for your home it is important to choose a softener with features and controls that are necessary. It is important for homeowners to know what controls the regeneration cycle, how long each regeneration cycle takes, as well as the amount of water and salt needed for recharging. Softeners use two different control options: automatic timing and demand-initiated regeneration no matter what option is on your softener, the salt needs to be monitored on a regular basis to prevent running low. 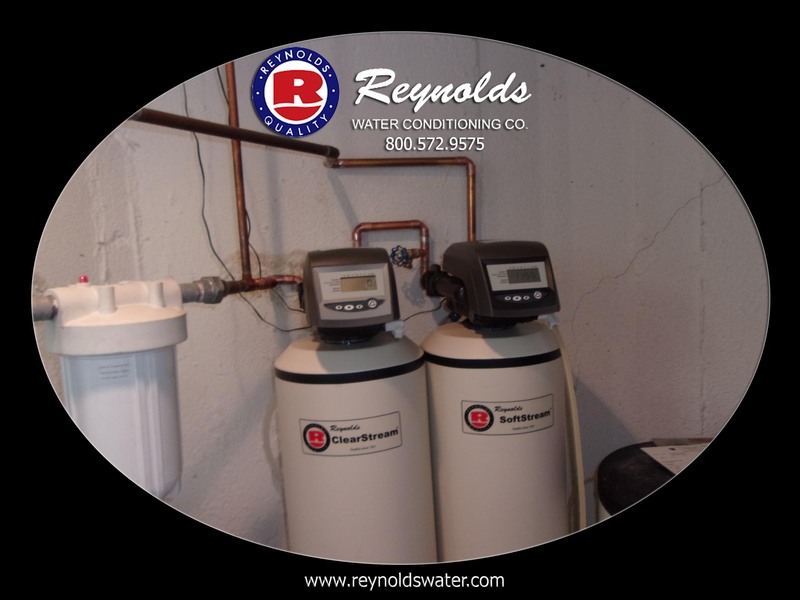 The professionals at Reynolds Water Conditioning can help you select and install the best option in water softener for your family. Author adminPosted on September 7, 2018 Categories Reynolds WaterTags Residential Water Softener Systems, Water Conditioners, Water Conditioning Companies, Water Softeners, Well WaterLeave a comment on Tap Water: Is the Water in My Home Safe to Drink? Do you notice a build-up of scum in your shower or dishwasher? Is your home’s shower not supplying you with water that feels “right” as you rinse off the day? If you are encountering issues or experiencing a change in your water supply, it may be so to hard water or that the treatment option that you are currently using for your homes water is not the right one. One of the most common solutions to treat a hard water supply is with a water softener or conditioner. In this installment, we shall briefly discuss the problem of hard water, how water softener systems and water conditioner work, and the difference between both. Hard water is caused by the presence of too many metals or minerals in the water, such as magnesium, calcium, and others. These minerals dissolve into your household water through the dissolution of the surrounding soil and rock. Water hardness is calculated in milligrams per liter (mg/L) or grains per gallon (GPG). If your water tests 1 GPG or less, then you have soft water. Hard water does not flow easily through because of the build-up of scale which accumulates inside your water pipes, heater or other appliances. In extreme cases, hard water can clog up water pipes and stop the flow of water all together. Hard water also influences household appliances and everyday activities. For instance, hard water reduces soap lathering, causing the water to become sticky and scum-like inside of lather. If you have a problem with hard water in your home, one of the best solutions is to install a water softener. Of course, it is important to speak with a professional who will test your homes water to see if this is the right option for your family. A water softener reacts with the calcium and magnesium ions and replaces them with sodium ion which results in a softer water. The added sodium is well below the FDA standard which makes the water fit for life. The ion replacement is done in a tank filled with resin. The beads are negatively charged and attract the sodium ions which are positively charged. Once water flows across these beads, magnesium, and calcium ions are replaced with sodium ions. Once the softening is completed, there is a need to recycle the beads in sodium chloride solution (water softening salt). This solution will remove the magnesium and calcium ions attracted to the beads and replace them with sodium. This bead can then be used for further softening session. Choosing a Water Softener or Conditioner? The term water softener and water conditioner are often used interchangeably. However, there is a huge difference between the two appliances. Water conditioners remove chlorine, sediments, chemicals, and other foreign materials while treating water hardness while water softener system does not treat water for any other reason other than hardness. Of course, both appliances are used to treat water hardness, but the results are always different. Water conditioner system processes water through a process that prevents scales. This causes a slight drop in the water pressure and causes the hardness-causing minerals to be suspended for three days. Usually, a catalyst in form of a magnetic field is used to enhance the process. In the end, the system displaces bad tastes, minerals, and prevents bacterial growth. Although the water is not technically soft, it still possesses the properties of a soft water. This means that the water will not precipitate and will lather easily with soap. Author adminPosted on August 27, 2018 Categories Reynolds WaterTags Residential Water Softener Systems, Water Conditioners, Water Conditioning Companies, Water Softeners, Well WaterLeave a comment on How Do Water Softeners and Conditioners Really Work? Before we discuss water softeners, it’s essential that one gains an understanding of what hard water is and how it affects you and your family. Hard water refers to water with a higher-than-usual mineral content. This is typically the case with water that is extracted from areas with large deposits of calcium and magnesium carbonates (naturally occurring in areas with limestone and chalk). While it can be argued that hard water does have some health benefits for humans, it can also pose some serious problems to homes and industry found in these areas. If your water fails to foam or lather up when exposed to soap, you most likely have hard water. Hard water is also responsible for corroding metal. This will show in faucets and sinks that are not covered with an anti-corrosive coating. Other equipment exposed to this water may also begin to corrode over time. If used to fill a swimming pool, it manifests a “milky” cloud in the water. This occurs when the calcium in the water reacts with the carbon dioxide present in the air. Hard water can be “softened” using a water softener. Water softening is the chemical process of removing calcium and magnesium (among other metals) from the water. The end result is water that responds well to soap and which has little or no corrosive effect on metals. Water softening is thus a good idea especially in residential and business buildings because there will be less corrosion in the plumbing system and other critical equipment. If you suspect you have hard water, then you may want to consider purchasing and installing a water softening system. A quick search online will yield high-quality, local, water softener installation and repair companies. Some are costlier than others depending on the features and capacity. Sometimes they’re known as water purification systems, water conditioners, or water filtration. For residential homes, water softeners can be installed as a complete system costing thousands of dollars or a point of use filter which has a lower capacity and can be more affordable. A salt-free water softener uses potassium chloride instead of salt, so you will not experience salty water, or the salt build up that can occur inside the tank of your water softener. There are many other positive benefits of using a potassium chloride water softener, but you will only see them if you maintain it properly. One of the things that you will need to keep track of is how much potassium chloride you have inside your brine tank. The potassium chloride should be at least three inches above the water line at all times, although you may find that you can keep less in there if you find a residue on the sides. It is a good idea to check your levels every couple of weeks at first, until you know how much potassium chloride you are using. Your valves are a necessary component of your potassium chloride water softener, and you will want to turn them from one position to the other and back again once a month. This will ensure that they will turn easily when you need to cut off the water supply to your softener. This is also the time to clean the valve between the brine tank and the resin tank. To clean that valve, you will need to disassemble it first, but make sure that you relieve the water pressure before taking anything apart. If you notice that any of these valves are leaking, this would be the best time to replace the washers or seals. The resin in your potassium chloride water softener is what helps soften your water, and you will want to keep it functioning properly. A water softener cleaner can be added every few months prior to a regeneration to keep the resin in optimal form. New potassium chloride softeners do not need to be cleaned often, but they can benefit from an annual cleaning and so can your homes water. To clean your potassium chloride water softener, you will need to close off the water intake and take all the water out of the tank. Then you will remove all the potassium chloride and scrub the inside of the brine tank with hot soapy water. After the tank has been thoroughly rinsed out, you should sanitize the tank with a mixture of water and bleach. Keeping this maintenance schedule will allow your potassium chloride water softener to continue working for many years, as it provides you with softer water.